Imprinting in black ink on colored pantograph background. 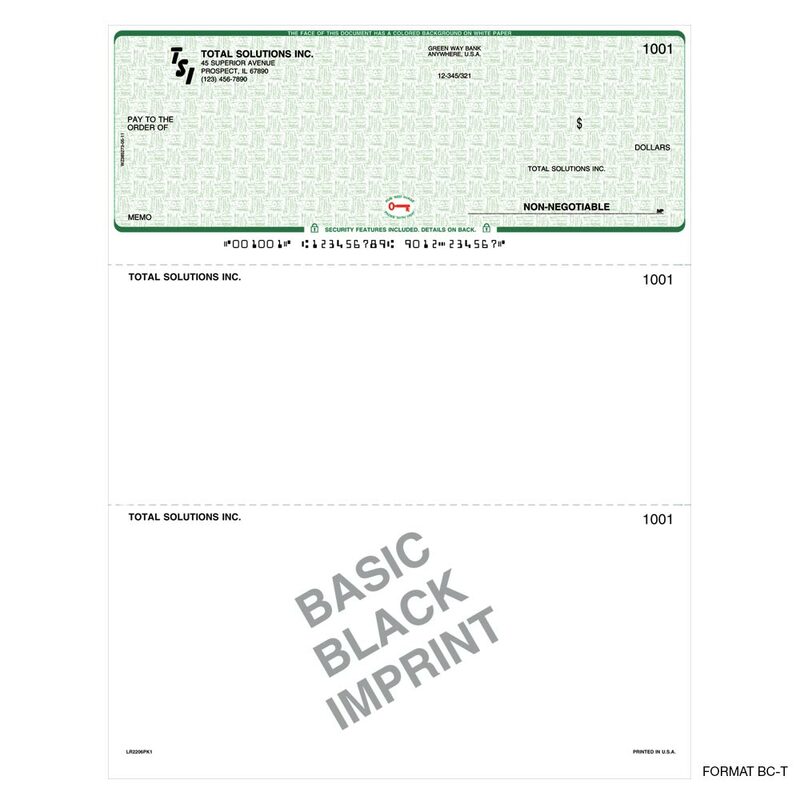 1 part, single check, 81⁄2" x 11", black imprint. Parkay pantograph: reflex blue, green, burgundy and tan. 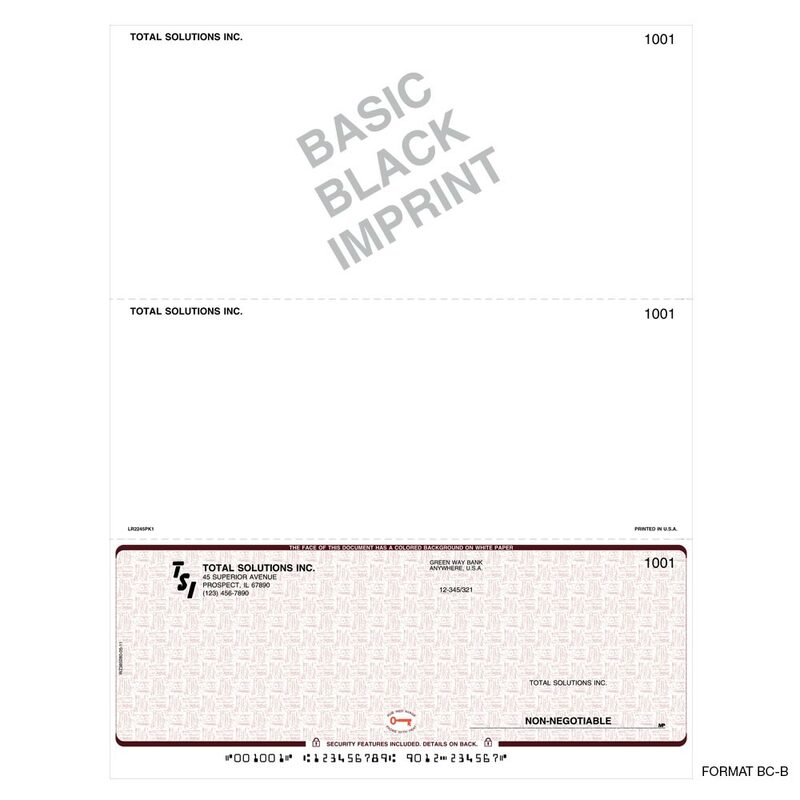 Perforations: 31⁄2" x 7" for top and middle checks, 4" x 71⁄2" for bottom checks. 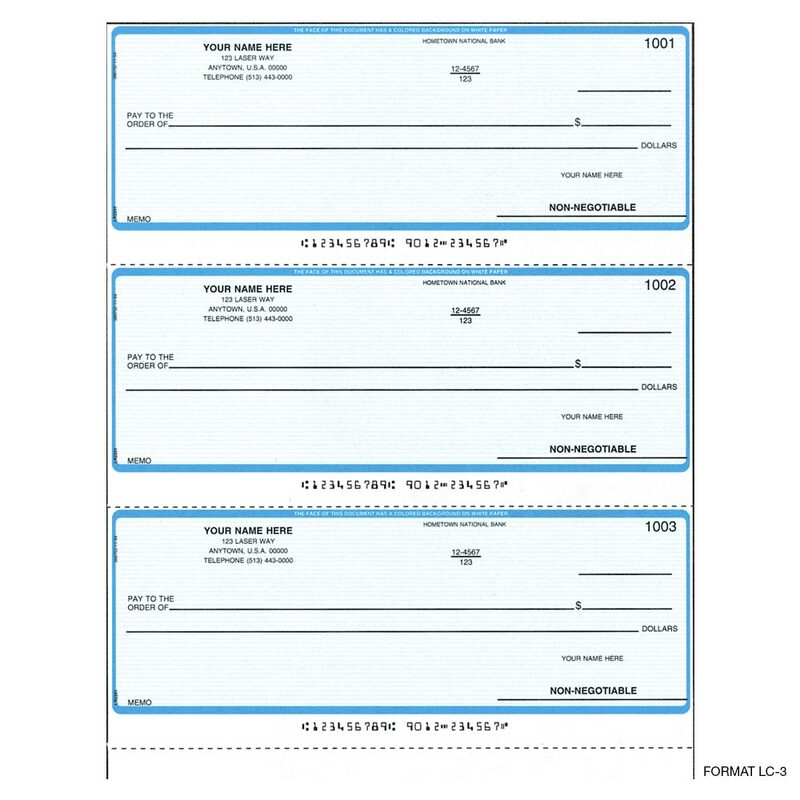 White vouchers. 24 lb. MOCR Bond. BC-T top position, BC-M middle position, BC-B bottom position. 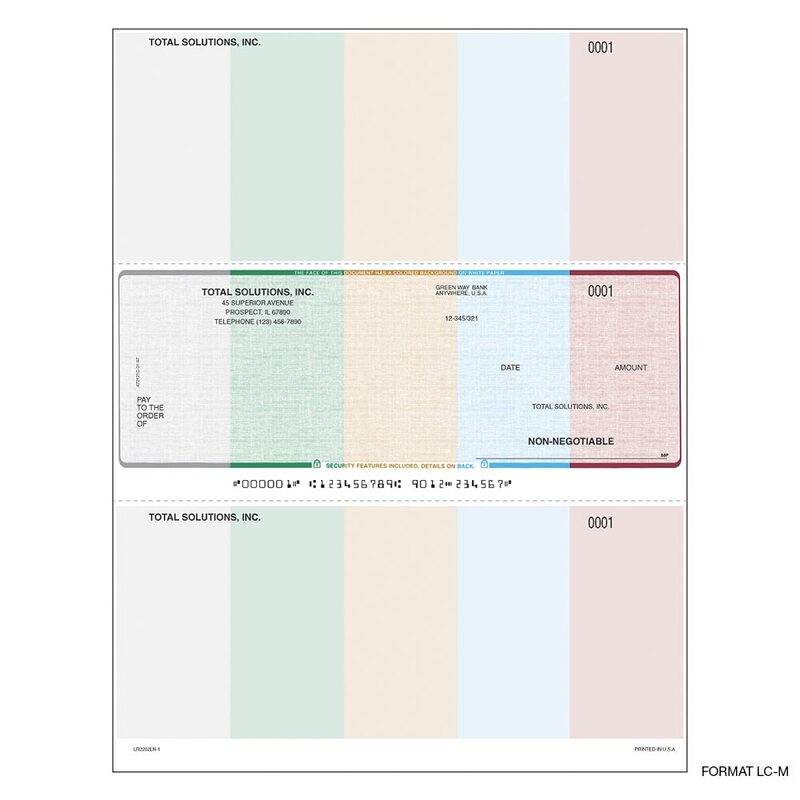 Linen Pantograph: blue (298), burgundy (209), green (348), gray (430) and tan (465) or reflex blue. 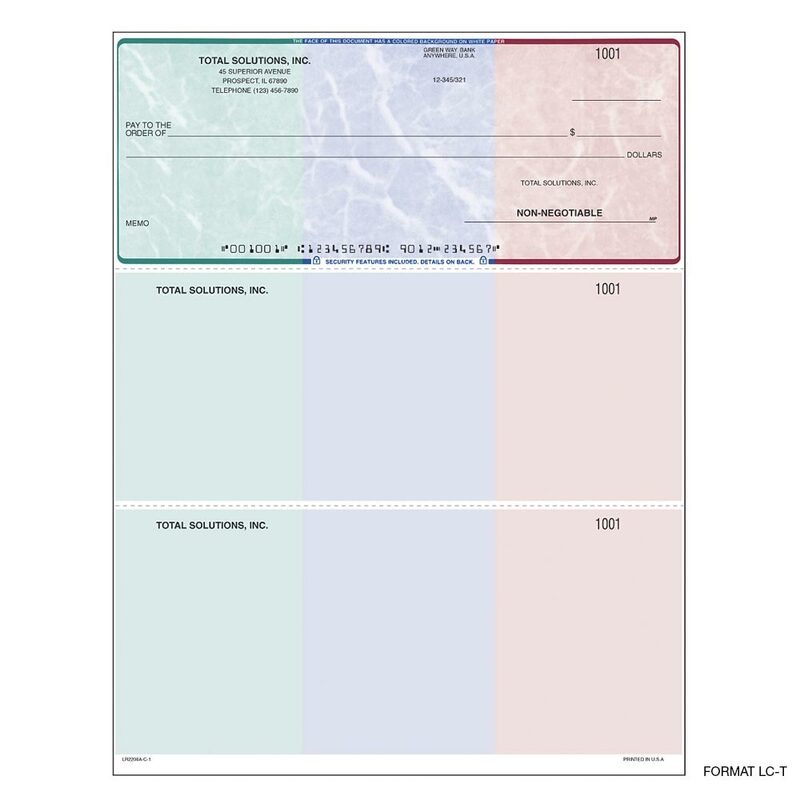 Marble Pantograph: burgundy (209), reflex blue, teal (328) or green (348). Scallop Void Pantograph: blue (662), green (357) or burgundy (209). Order 2-pt. if you need a copy for case files. 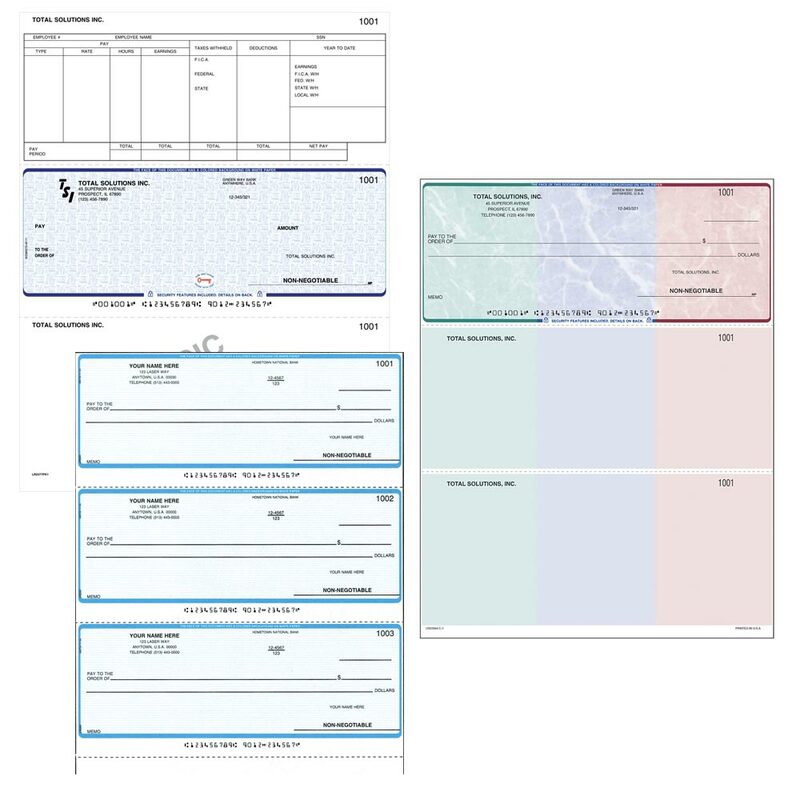 Software: PCLaw, Quickbooks, Landtech, Soft Pro, etc. Multiple parts available, ask for price quote. 2. Check color and pantograph (Linen or Marble). 4. 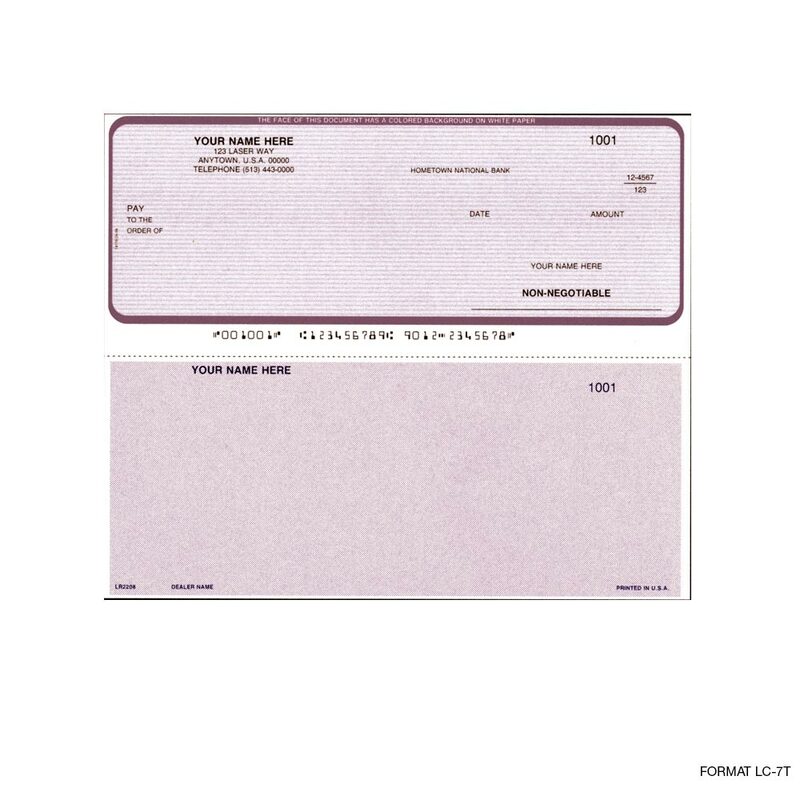 Send us a voided check with the MICR encoding to ensure accuracy. 5. Typestyle. 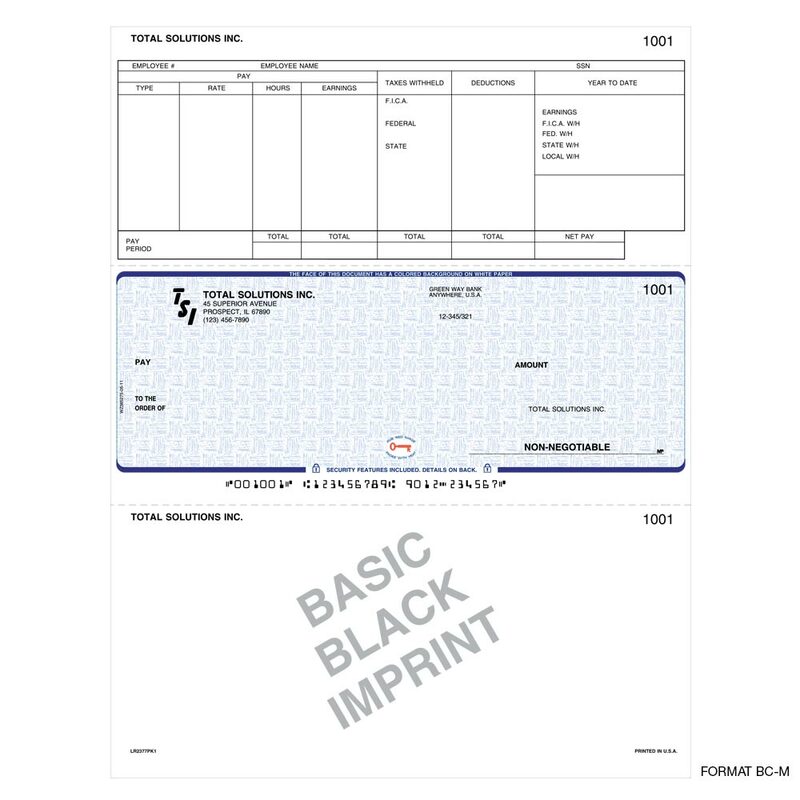 If not given, we will follow imprint copy on voided check.